If you normally read my blog, you probably already know that I normally post a weekly recap on Mondays. 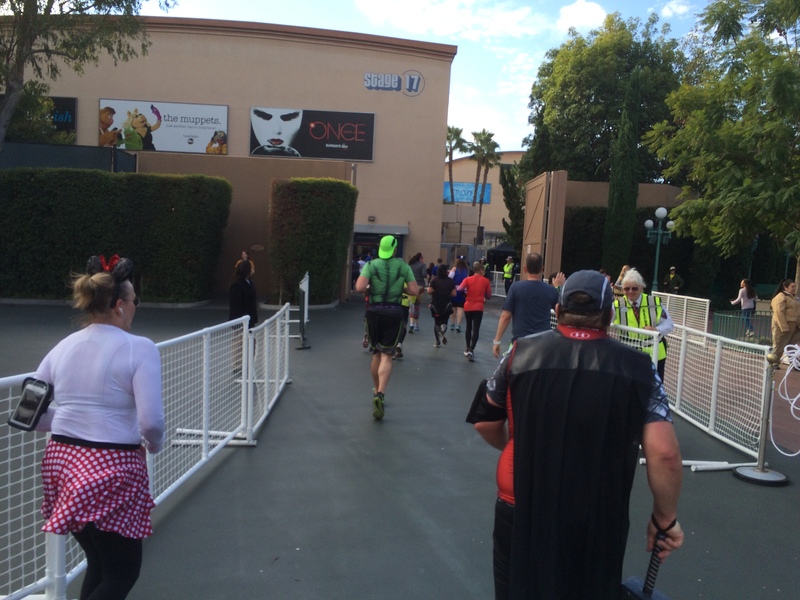 Since this is race week for the Avengers Super Heroes Half Marathon, I’m postponing the recap until Wednesday. 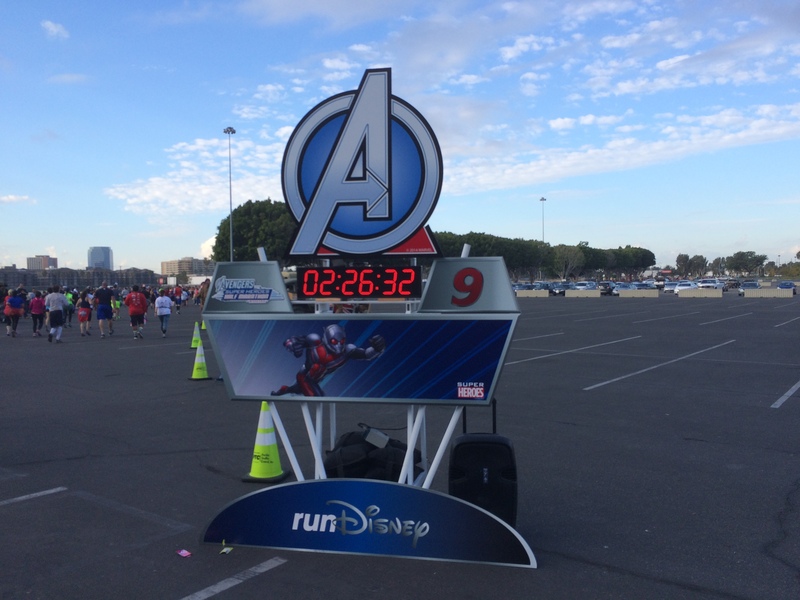 I’m doing this to finish my preview of the Avengers Super Heroes Half Marathon course. 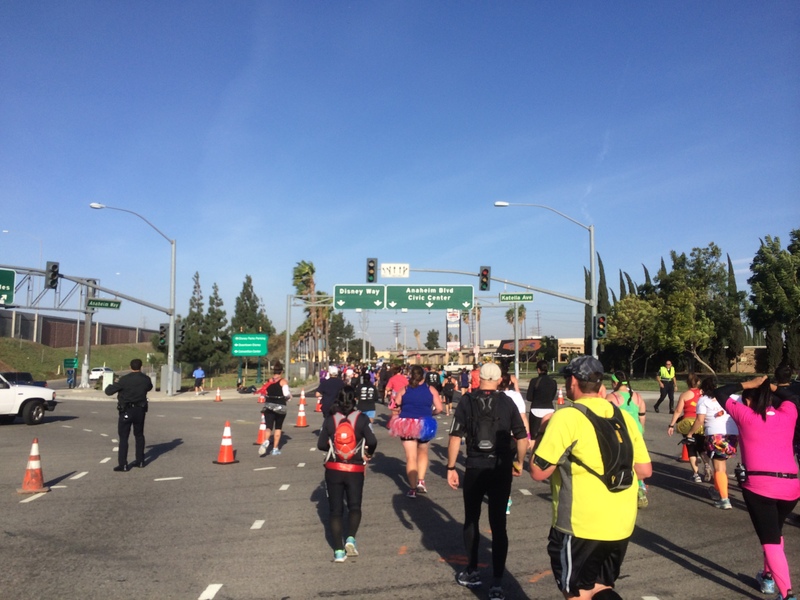 We were out of Angel Stadium and in the parking lot at mile 9. 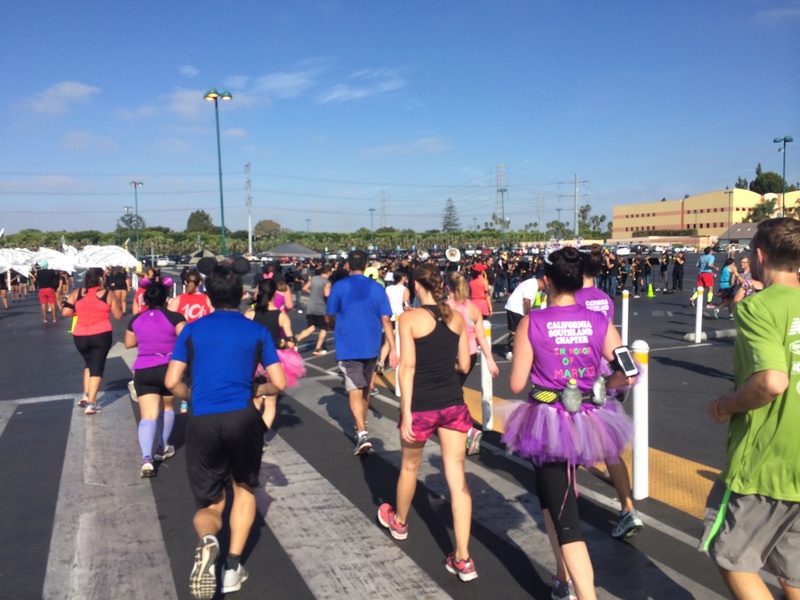 Mile 10 starts in the parking lot as well. 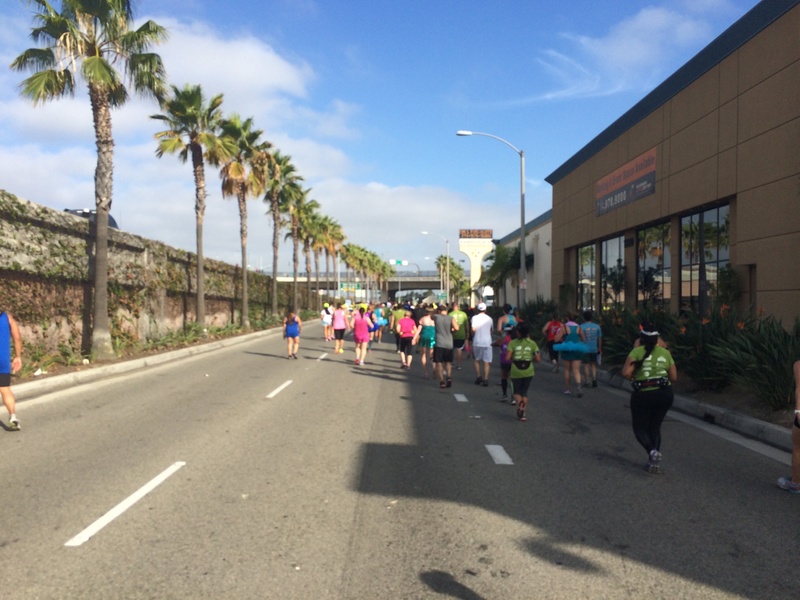 We’ll be running back the way we came in and see the slower runners along the way. 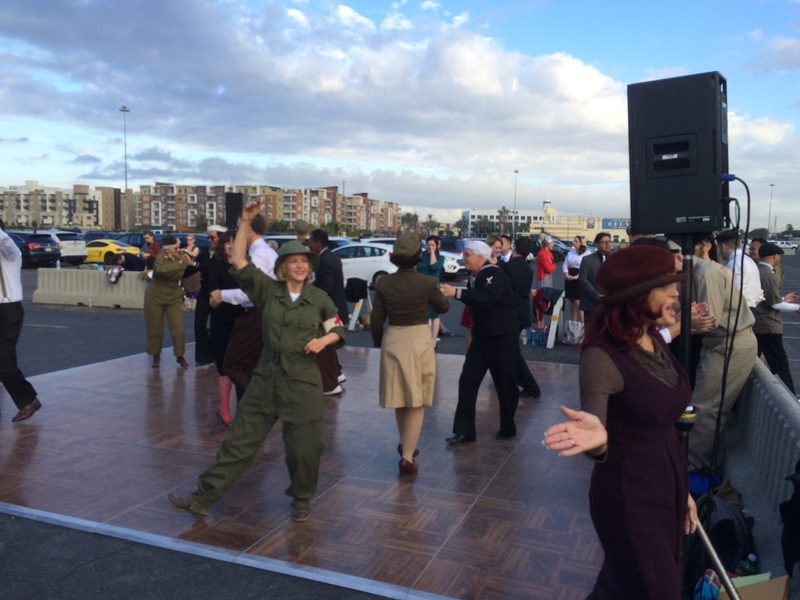 Last year, there were swing dancers in the parking lot! One thing I do wonder about is where the Cos Players will show up. 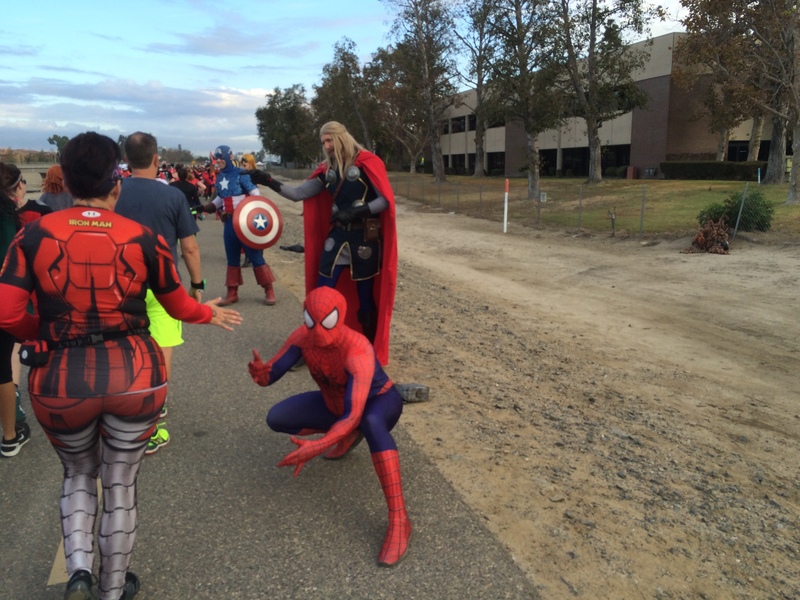 In each of the previous two Avengers Half Marathons, they were along the Santa Ana River Trail. Since we won’t be on the trail this year, I wonder where they will be (if they are there again). My money is the parking lot of Angel Stadium. Either before we enter the stadium or on the way out. We shall see. Either way, we’ll head out of the stadium and back onto Gene Autry Way. You’ll still see the slower runners coming in as you are heading back out. So, that should be some fun. 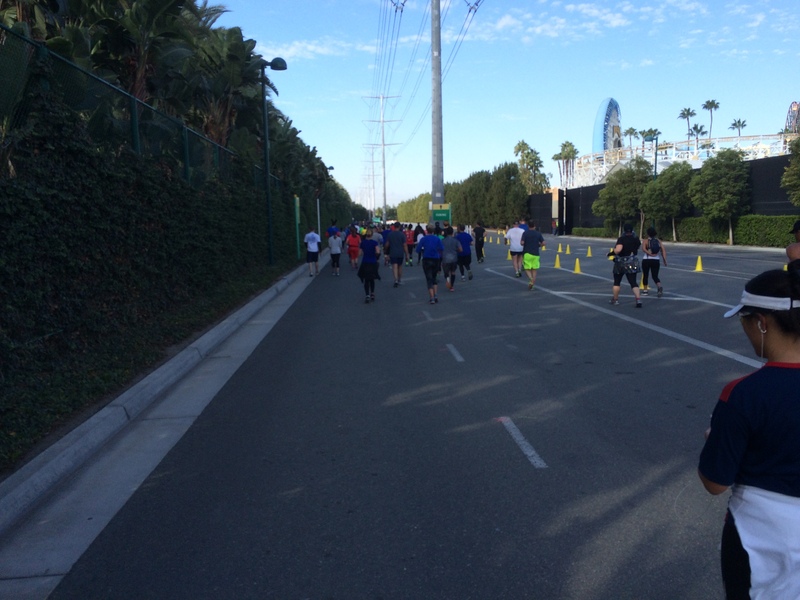 From here the course is pretty much the same as the finish to the Disneyland Half Marathon with a slight alteration. There will be a slight uphill on Gene Autry Way, but we turn off the road before the change in elevation gets difficult. We come out onto Santa Cruz Street. 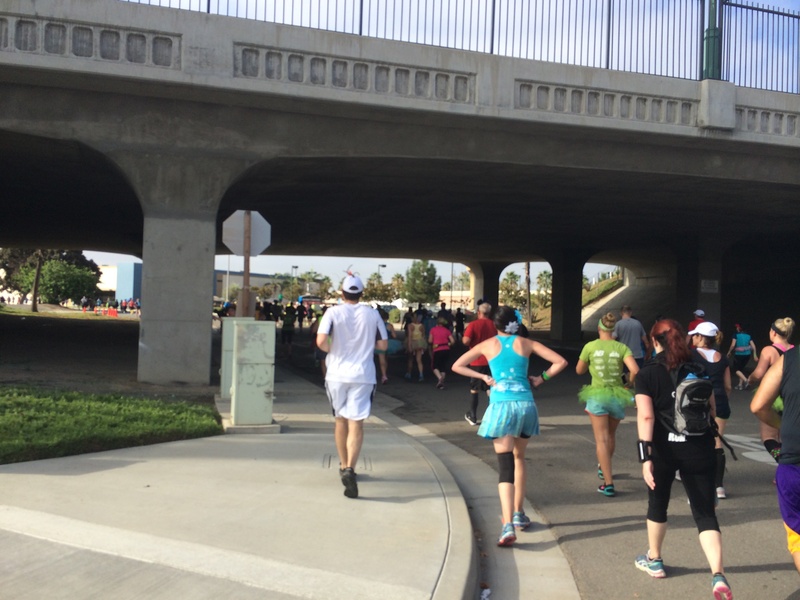 Going under this bridge will give you an ever so brief reprieve from the sun that expected to be out on the day of the half marathon. The mile 10 marker looks to be somewhere right around this bridge. You’re not on Santa Cruz Street very long. After passing a business center (on your left), you’ll be turning left and making your way to a quick right turn onto Anaheim Way. As you can see, there isn’t a ton of shade on this road. The way to get through this rather boring stretch on the course is to remind yourself that you only have to deal with it for around 2 miles. 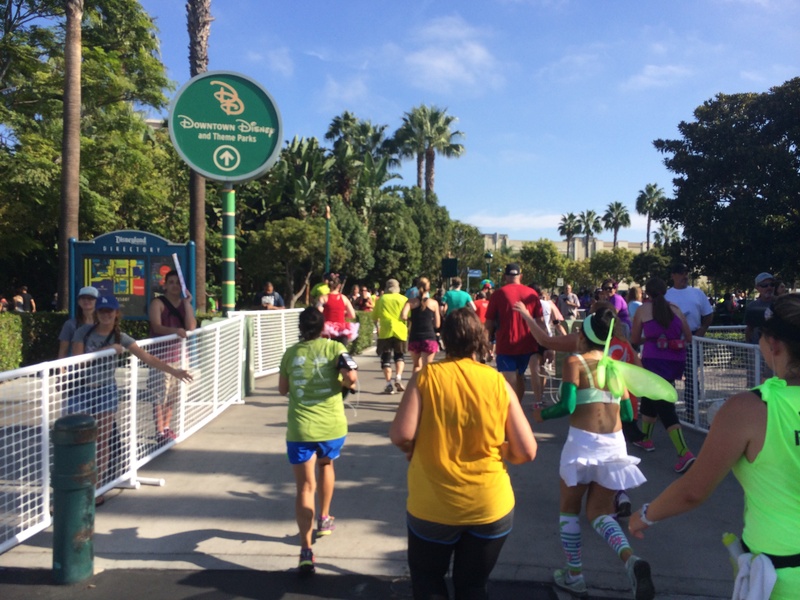 Then, you’ll be back at the Disneyland Resort for the rest of the race. Just past Katella, you’ll come up to a longer tunnel that might be just what the doctor ordered in the heat. Depending on how fast you are, this tunnel could be heaven! You’re going to love the shade here. 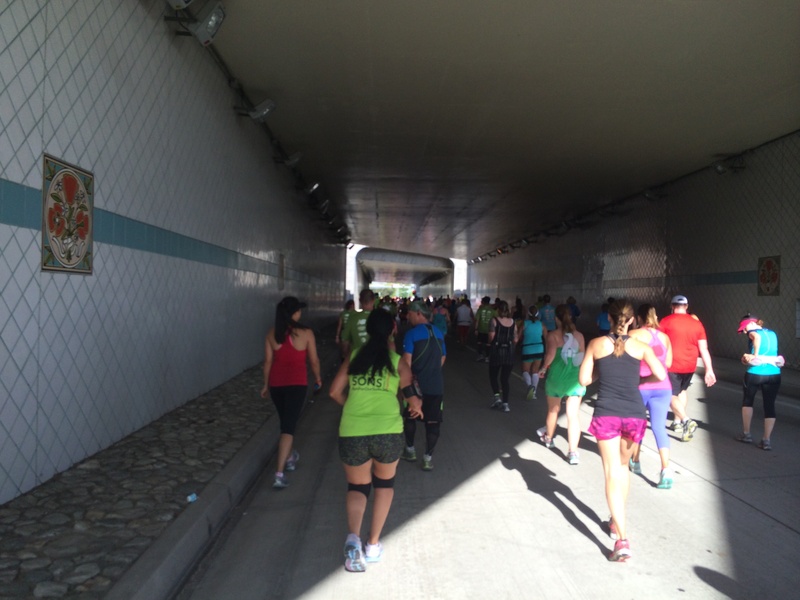 Just pass the second part of the tunnel, is the mile 11 marker! This is a great place to remind yourself that you can do 2 miles no matter how tired you might feel. The roads are pretty open here. So, keep trucking along. Past the tunnel, you will now be on Disney Way. Once you get past Clementine Street, you’ll see the Disneyland Resort straight ahead. 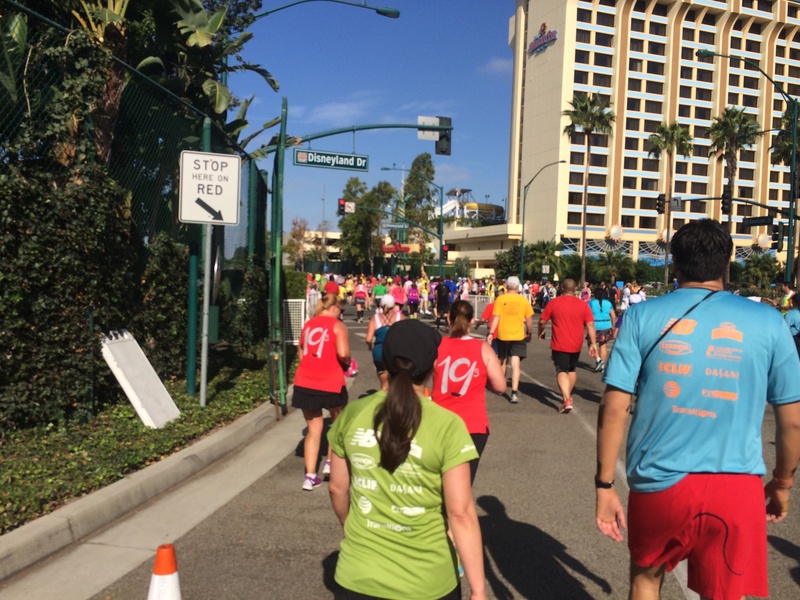 Once you get to Harbor Blvd., the course looks to revert to the same ending as last year…. 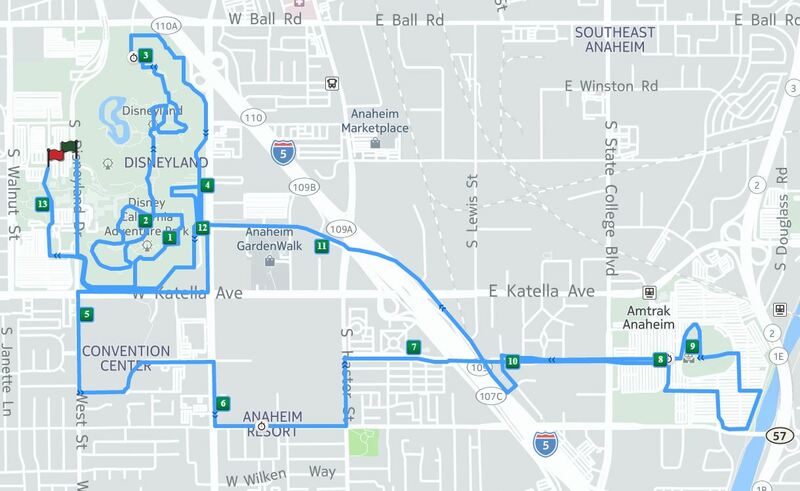 If you look at the map I had up for talking about the Disneyland portion of the route, you’ll notice the mile 12 marker. 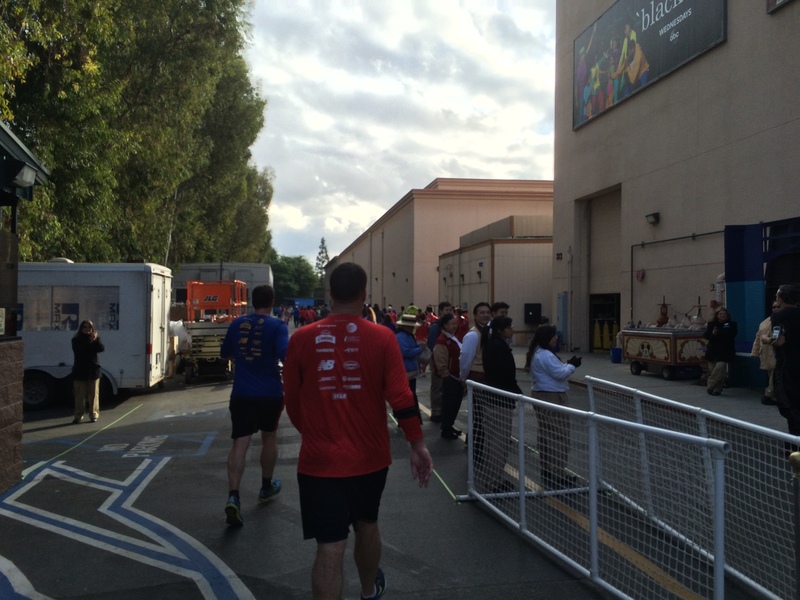 However, the course looks to come in like the Disneyland Half Marathon route. However, it turns to the right instead of left. 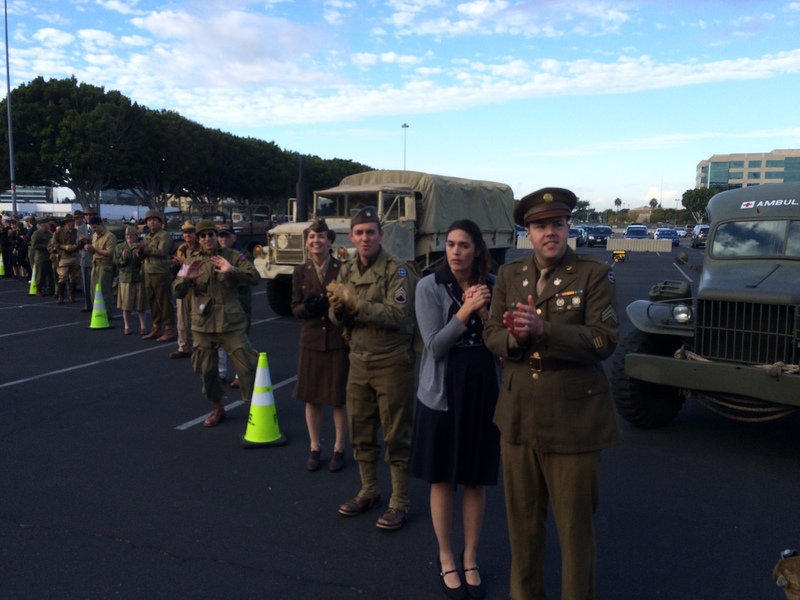 We’ll run up to where the buses drop people off for a day at Disneyland. Let me tell you, when we ran here last year, there were some rather confused looking people to see us runners. It’s a quick loop that will take us back stage at DCA (like pictured above). Last year, the backstage area at DCA felt endless for me. I was tired and that 12 mile marker could not come quick enough. As you can see, this area is a little more narrow. Don’t get too frustrated. Once you get past the 12 mile marker, it opens up again. 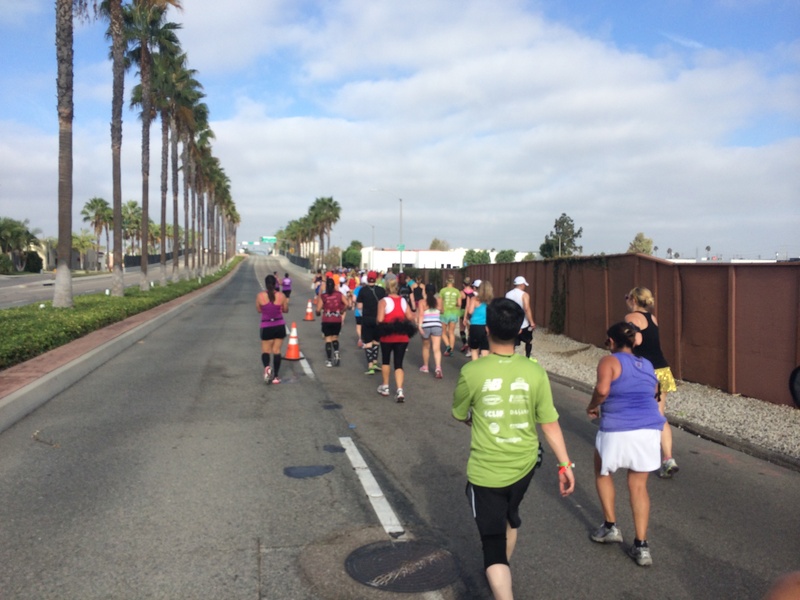 As you start mile 13, you’ll come back to familiar roads. 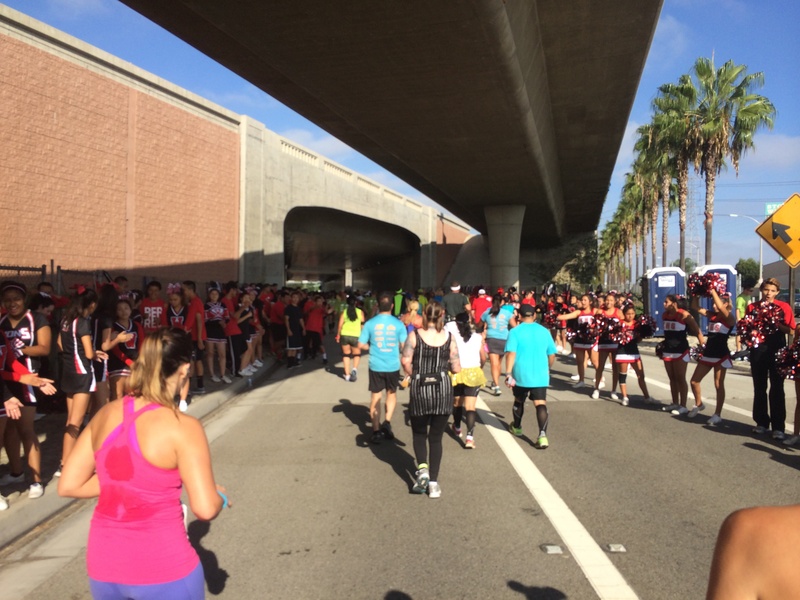 This is where we ran in mile 1…only we’re going the opposite direction. This stretch is quite boring to me and is usually a challenge mentally. I know I’m in the last full mile here. But, there is NOTHING to keep me distracted. So, just grind it out. As you can see, there will likely be plenty of road for your to move in and out to keep that pace going strong. 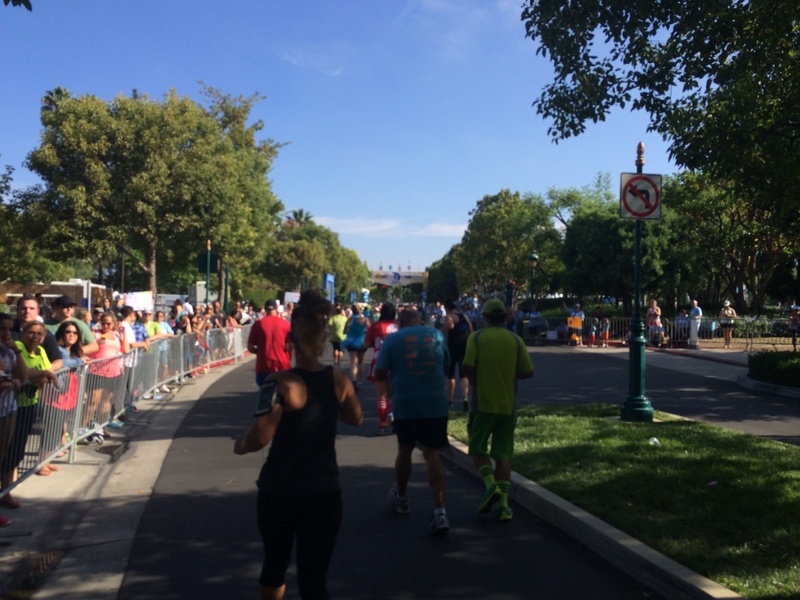 As you leave backstage DCA and head across Disneyland Drive, you’re around a half mile from the finish! Also, the crowds pick up a whole lot for the rest of the race. Hopefully, you’ll have the energy and mental stamina to really take it all in. When you enter the Simba parking lot (next to Paradise Hotel), there are the sounds of a marching band. 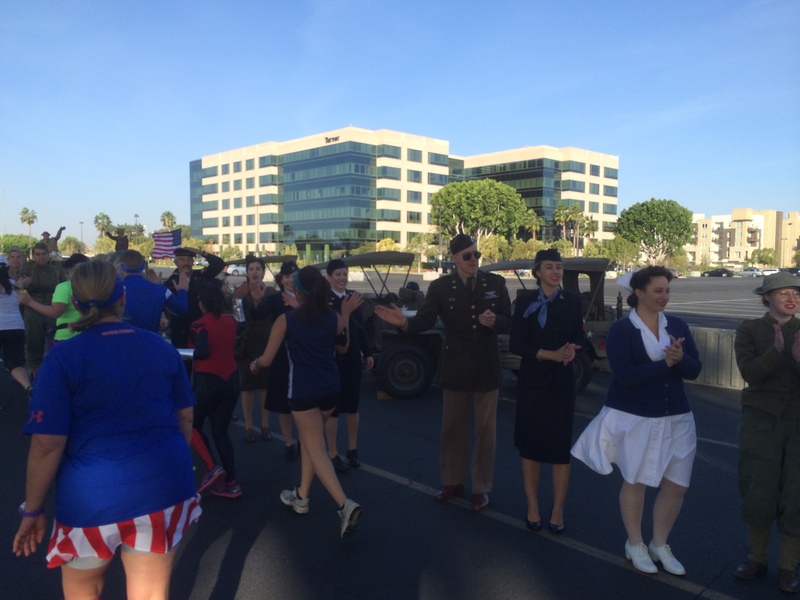 Most runDisney races I’ve run that finish this way have had a marching band cheering you on. Once you turn the corner, it’s straight ahead to the finish. Enjoy this as it’s the last part of the course that’s this wide. See what I mean? It’s like this the rest of the way. Maneuver the best you can. But, understand that others might be fading during this stretch. Use the increase crowd support to your advantage. 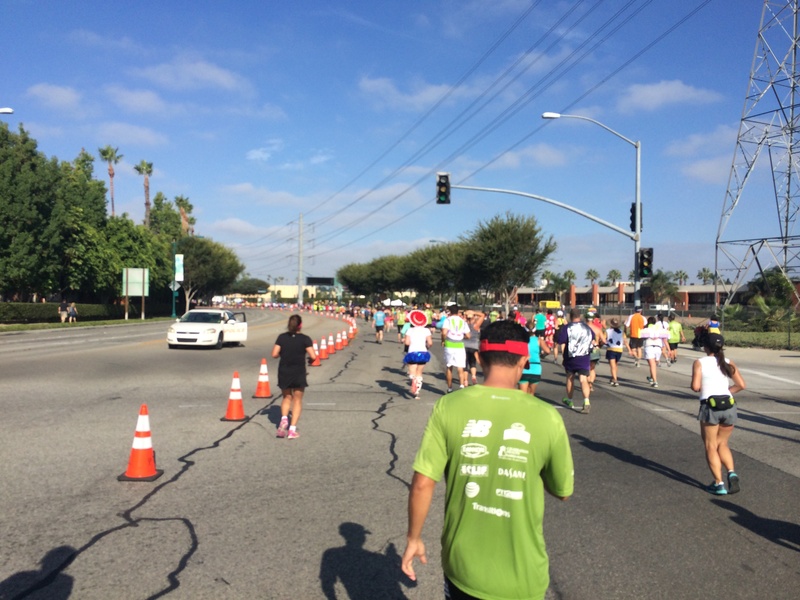 Mile 13! The marker will be on your right side. So, if time doesn’t matter for you and you want a picture, you should start making your way to the right once you get on Disneyland Hotel property. 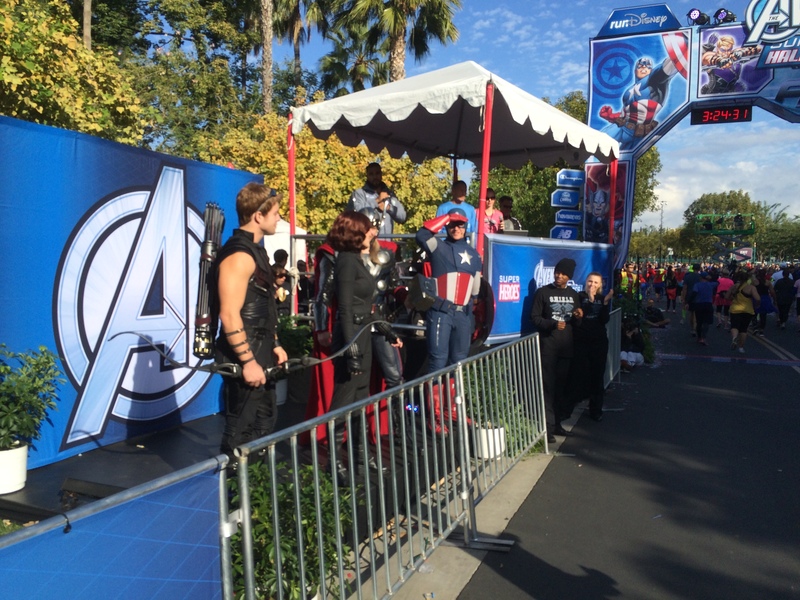 There will be some Avengers to greet you as you approach the finish line. However, as you can see, they are behind a barrier. You can take a selfie here. However, be aware of what’s behind you. Others may be sprinting to the finish. Don’t get in their way. 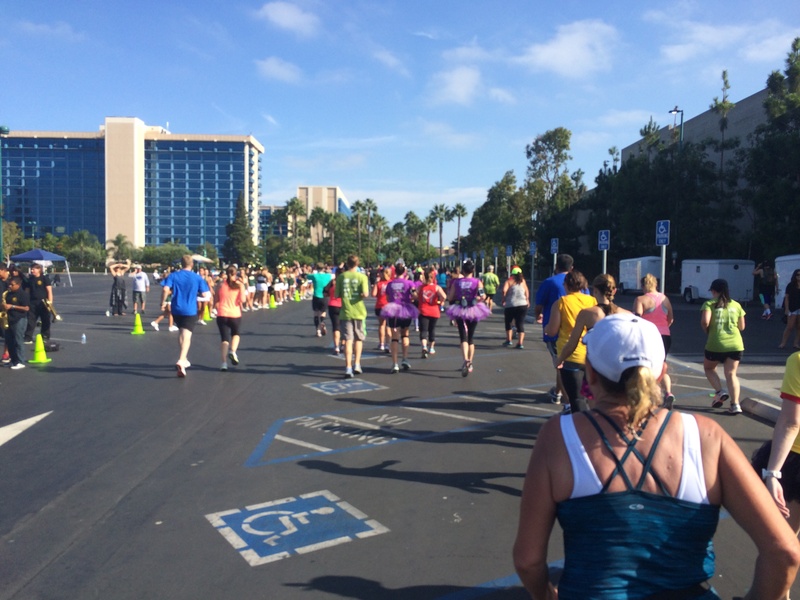 I would say that, if you working hard for that half marathon PR, stay to the right. There won’t be any characters on the right side of this race. They are all on the left. So, the chances of running over another runner who has stopped for that selfie with Captain America they couldn’t live without, stay to the center or right to finish. Congrats! 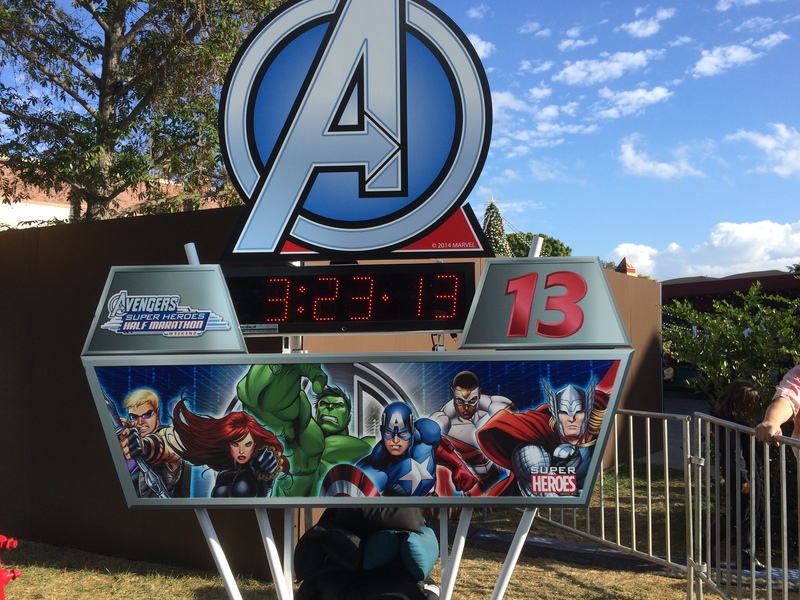 You have finished the Avengers Super Heroes Half Marathon (maybe the Infinity Gauntlet Challenge)! 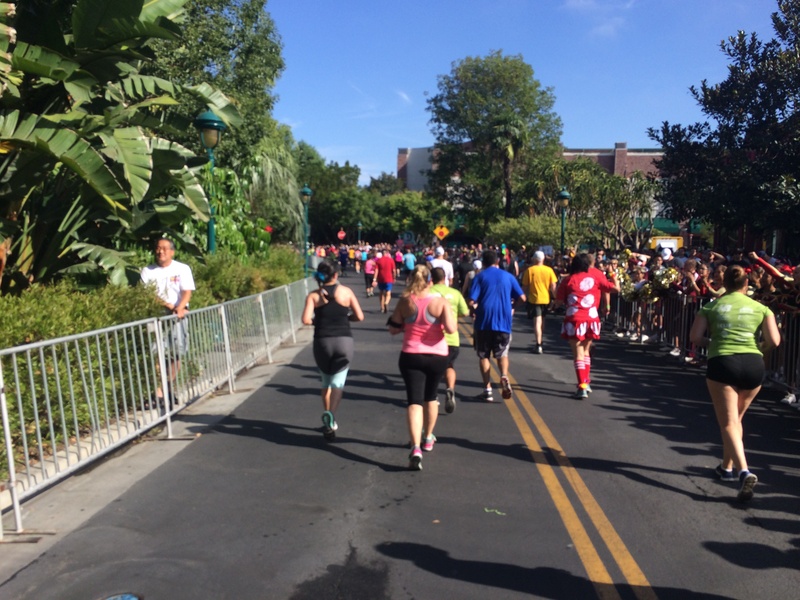 Don’t stop immediately after crossing the finish line. You don’t want to be in the way of another runner trying to have their moment of finishing. Instead, walk the finisher’s chute to where it turns. Go to the barrier, staying to the right. You can take a selfie commemorating the moment like I’ve done here. Look! You can still see the finish line! 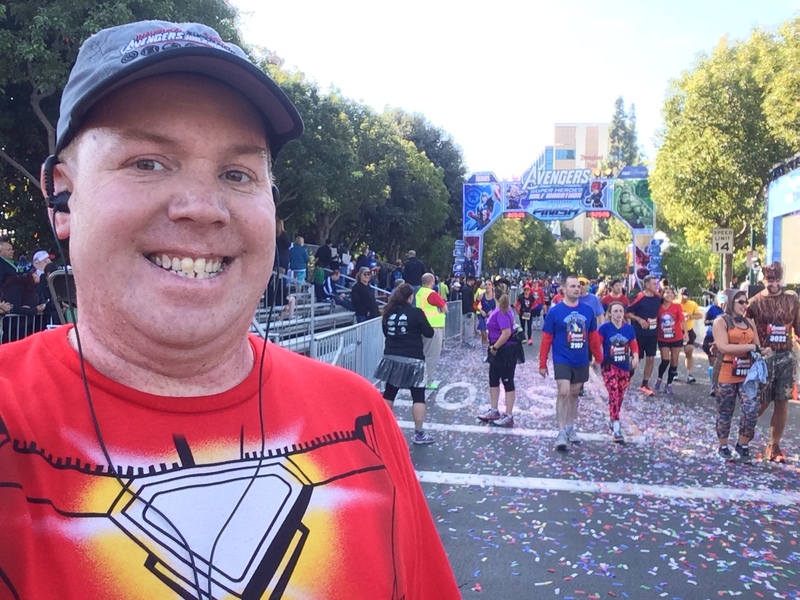 I get a picture in this spot at every runDisney race at Disneyland that I’ve run. It makes for a perfect finishing picture. Taking a selfie while getting your medal placed around your neck is perfectly acceptable. A lot of the volunteers will smile in the picture as well as evidenced above. 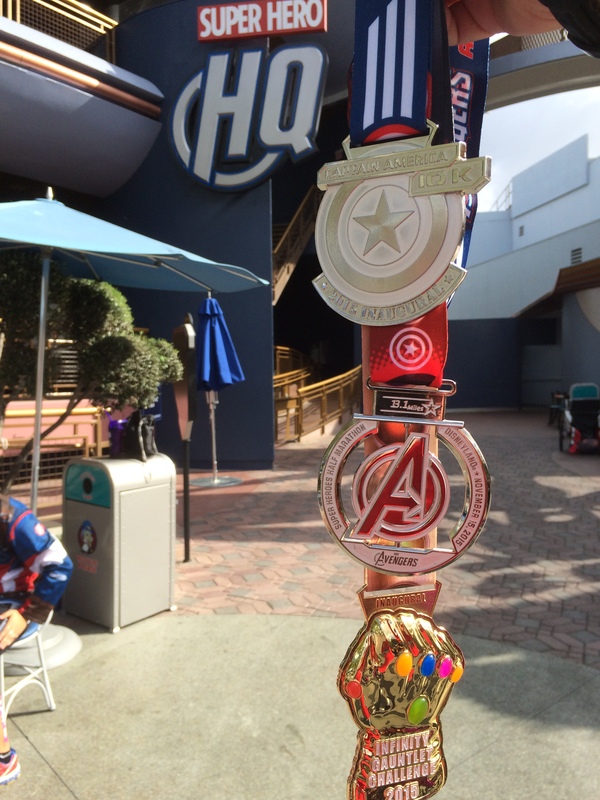 Lastly, don’t forget to wear your medals in the theme parks. You’l get a lot of people congratulating you. The Avengers HQ is no longer at Disneyland. 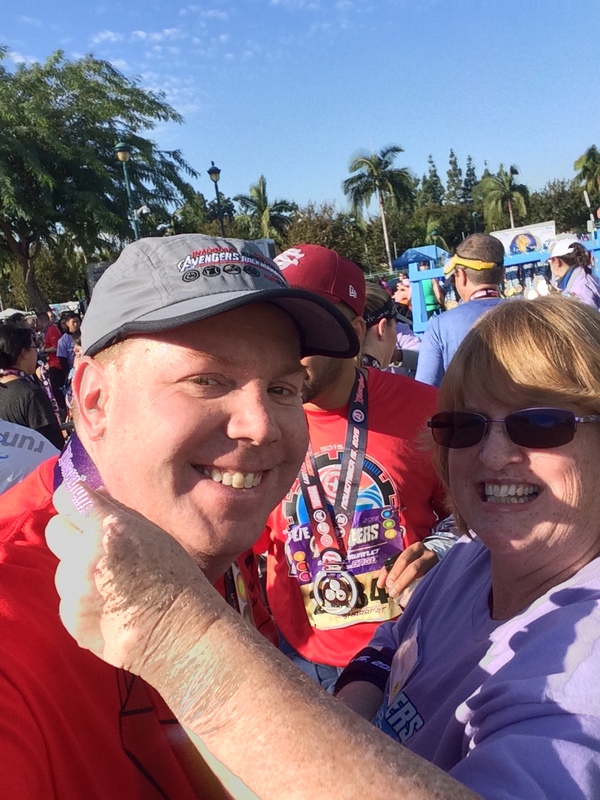 If you want a fun pic that is totally in theme for this race, head over to DCA in the Hollywood Land area. Close to the Hyperion Theater is where the Marvel Characters hang out. 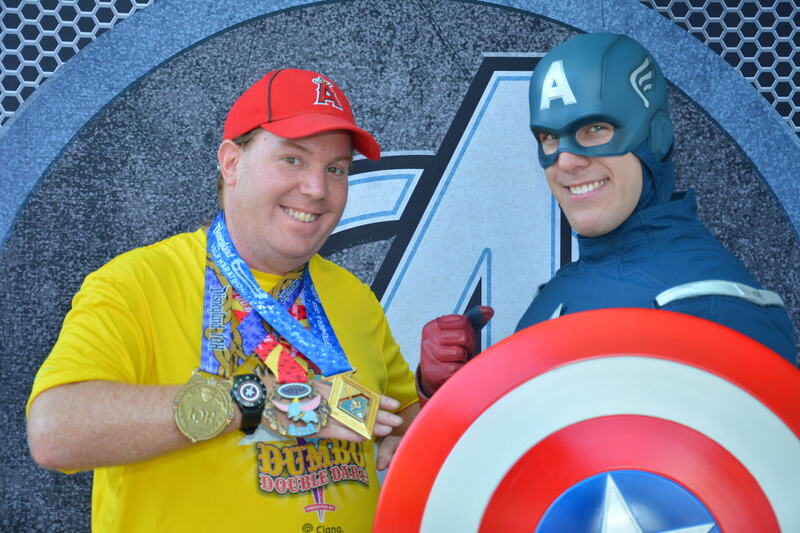 I mean, why would you want a picture with Captain America and your medals? 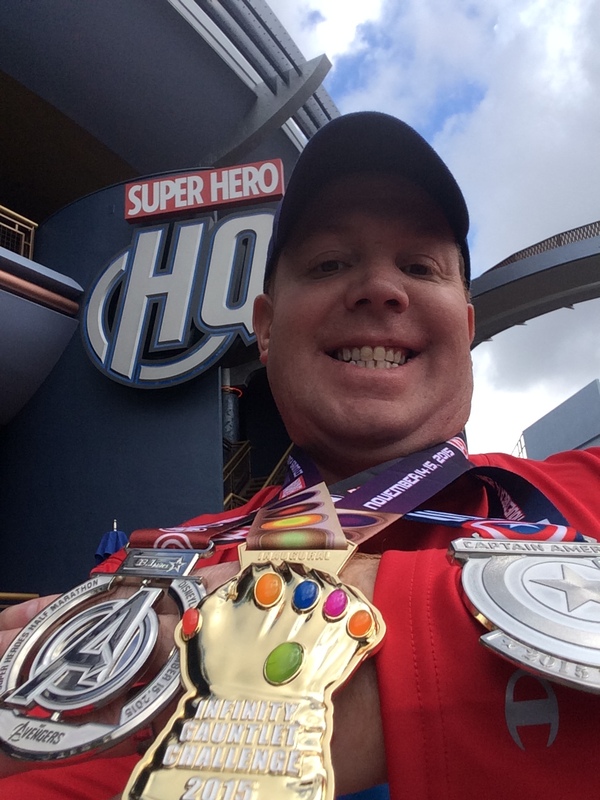 I hope everyone has a blast running this weekend at the Avengers Super Heroes Half Marathon Weekend. 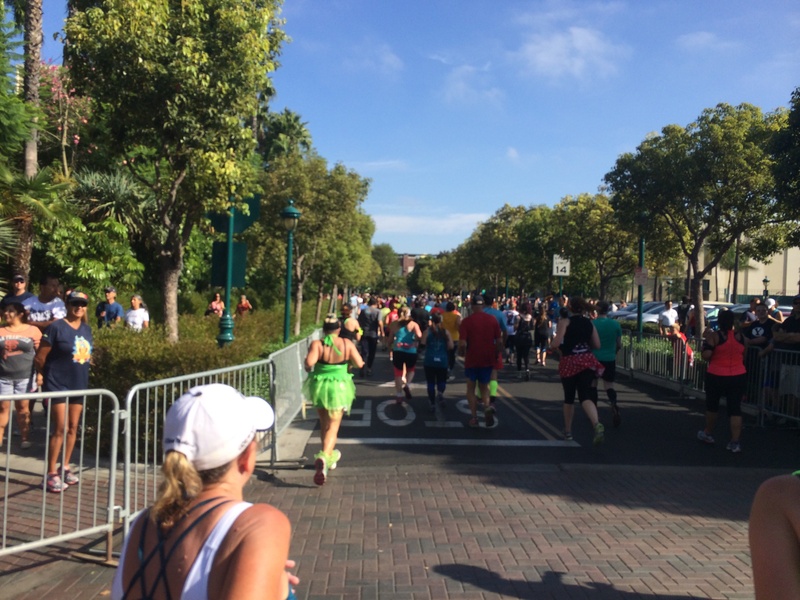 Hopefully, the past 4 posts have helped with this new half marathon course. Thanks SO much! 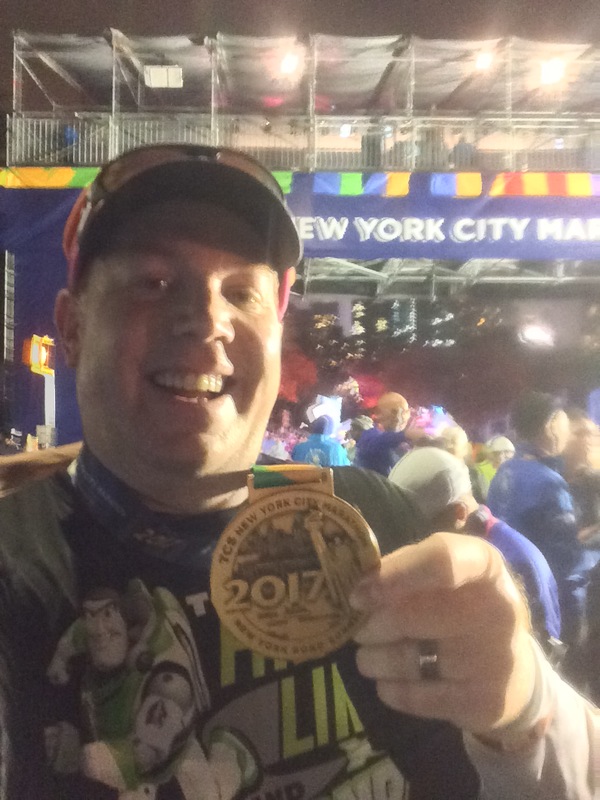 I’m walking my first half marathon ever during the Avengers. These posts have been so incredibly helpful. You’re welcome! Glad I could help! I hope you have a great race!